Assembled and recorded Januari-February 1998. Disc 1 track 1 Composed and performed by Christopher Franke 1998. Disc 1 track 2 Composed and performed by Steve Schroyder, Jens Zygar and Ramamurti Gresbek 1997. Disc 1 track 3 Composed, performed and produced by Hans-Joachim Roedelius. Disc1 track 4 Composed and performed by Jacques Derègnaucourt,Christoph Harbonnier and Christian Wittman recorded live in the Gasometer at Oberhausen, July 12, 1996. Disc 1 track 5 Composed ,performed and produced by Klaus Krüger 1994. Disc 1 track 6 Composed, performed and produced by Klaus Krüger 1994. Disc 1 track 7 Composed, arranged, played and produced by Detlef Keller and Mario Schönwalder live in Wesel, Germany on August 16, 1997. Disc 1 track 8 Composed and performed by Conrad Schnitzler in Berlin April 10, 1997. Disc 1 track 9 Composition, performance, sound design, mixing and mastering by Lars Stroschen at the Propeller Island Studio, 1997. Disc 2 track 1 Composed and performed by Michael Hoenig and Don Preston live at the Veri Hall, Tokyo on September 24, 1984. Disc 2 track 2 Composed and performed by Conrad Schnitzler, recorded in Berlin on June 23, 1997. Disc 2 track 3 Composed and performed by Jörg Thomasius ,1994. Disc 2 track 4 Composed and performed by Jacques Derègnaucourt, Christoph Harbonnier and Christian Wittman, recorded live in the Gasometer at Oberhausen, July 12, 1996. Disc 2 track 5 Composed, performed and produced by Johannes Schmoelling , recorded in September 1992 at Rietstudio Berlin. Disc 2 track 6 Composed, performed and produced by Pete Namlook and Rob Gordon, 1996. Disc 2 track 7 Composed and performed by Conrad Schnitzler , recorded in Berlin in June 27, 1997. Disc 2 track 8 Composed , performed and produced by Klaus Krüger 1994. Disc 2 track 9 Composed and performed by Steve Jolliffe, recorded July 1997 at The Bell, Adderbury, Oxfordshire, 1997. 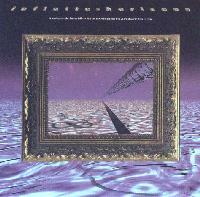 This double CD was released in 1998 to commemorate the fifth anniversary of Horizon Music. The album contains rare and previously unreleased tracks by thirteen of today's most innovative contemporary instrumentalists. Artists such as Christopher Franke of Babylon 5 fame, Hans-Joachim Roedelius, Johannes Schmoelling, Lightwave, Conrad Schnitzler, Klaus Krüger and Michael Hoenig contributed music to Infinite Horizons. 1998. Press Information An excellent compilation album of electronic music with hints of Techno and ambient. The whole history of electronica and Krautrock is covered in this collection, in some sense. There are so many wonderful sound explorations on this set. Lightwave's 'Martian Cycles' is an excellent live performance, proving electronica does 'work' in a live context. Star Sounds Orchestra's 'Anakant' is much closer to what 31st century outer space dance music will be than 100 George Lucas bar scenes. This is highly recommended space stuff. 2010. Paul Williams / Progression Every TANGERINE DREAM fan needs this! There are more Ex-TD-members on that 2 CD's than on any TD album! ;-) They would fit perfectly in a TD-memorial-super-group! But that will sadly never be. Really good tracks, even the non-TD's!